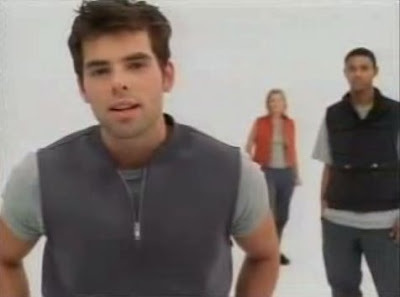 I always focused on one person in these gap ads from fall 1999. 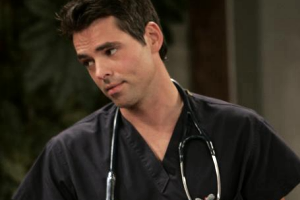 It turns out he has a name - Jason Thompson - and has been in the General Hospital cast for some time. "I am not going to buy a vest or a pair of cords from the Gap just because they tell me everyone should be in them." "Think of them as a type of brainwashing." "It seems that everyone I talk to has no idea what they mean but loves them." Before 1999 we were offended by hypnotic attempts to get under our skin, and ads had to have a meaning. Today all advertising feels like these spots did. The iMac and iPod ads, those great Target spots - so much of today's advertising owe it's origin to these spots.